Move fast and break things, the mantra of Silicon Valley startups, has created a scapegoat for tech founders who do just that: break things. And it’s not just with Facebook breaking democracy — the contagion of dismissing regulation has now spread to the space sector with Swarm Technologies going as far as breaking the law. 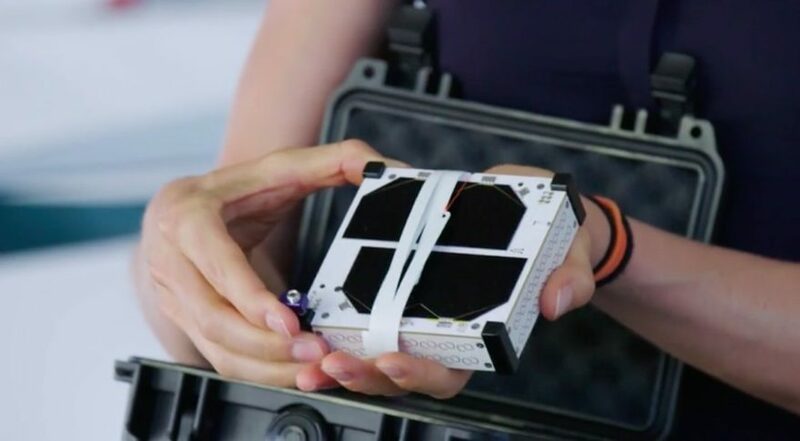 Swarm Technologies, the Silicon Valley creator of “SpaceBee” pico satellites, has found itself in hot water with the U.S. Federal Communications Commission (FCC), the regulatory body of international communications by radio, wire and satellites. Swarm disregarded a decision by the FCC which refused a license to launch its satellites because pico satellites, being much smaller than nanosatellites, could not be safely detected and hence tracked in space. Swarm launched the satellites anyway aboard an Indian polar satellite launch vehicle. The FCC, after an investigation beginning in May 2018, has fined Swarm $900,000, a meagre outcome that has shocked many in the satellite industry. The punishment for Swarm by no means fits the magnitude of the crime committed; the financial and geopolitical repercussions of Swarm’s actions could have been dire. It’s not difficult to imagine a scenario in which a SpaceBee, which cannot be properly tracked, loses its orbit, damaging a large Chinese satellite and creating space debris that further damages numerous other satellites. Under current law, it is not known who the responsible nation is for such an event. But it is more than likely that an event like this would be treated as an act of war against China by the U.S. With space technologies, the stakes are high. Much higher than $900,000. So why is it that the tech darlings of Silicon Valley are being allowed to self-regulate in an environment where abuse of power against the public good is so rampant? Like Facebook with billions of users’ data privacy, the CEO of Swarm Technologies, hailing from NASA’s Jet Propulsion Lab, should have and in fact did know better than to blatantly ignore FCC directives. The space industry is rapidly deregulating in the light of recent venture capital and growth fund investment in this sector, to allow market development and enable startups to flourish. But like financial deregulation in the U.S., the fundamental question must be asked- what are the market forces present in the space industry that will keep founders and CEOs in check? The stakes are high on both sides. Swarm was presumably under pressure from investors to launch their satellites as quickly as possible; missing a launch would likely put pressure on the company when raising a new round of funding, or destroy the ability to do so whatsoever. A million dollar fine in exchange for closing a $40 million funding round seems justifiable when Silicon Valley is flush with cash. A CEO is therefore incentivized to act malignantly, in the hopes of creating a new American space boom. Is this new American policy of space laissez-faire irresponsible to other nation states with large and significantly important assets in space that require protection? One can draw a comparison of thought to the U.S. financial market deregulation and the following market crash, ultimately leading to the global financial crisis. Is the U.S. using its relative power in the space industry to grow a sector at seemingly whatever cost, and allow the burden to fall onto other states? If this is the case, the U.S. may need to look in the mirror before questioning this long-term policy. It is a long time since the U.S. put a man on the moon, when American power relative to its USSR opposition was undoubtedly strong. Now there is an emergence of a new “space race,” with China, Russia and India taking the lead. Even developing nations are now building and launching their own satellites; reliance on US satellites is diminishing and thus American power is eroding. It can be easily argued that the U.S. no longer holds the right cards to make deregulation policy choices that could have global negative impact. FCC Commissioner Michael O’Rielly commented that “the size of the penalty imposed [to Swarm] is probably not significant enough to deter future behavior. But the negative press coverage is likely to prevent this company and others from attempting to do this again.” Given what we’re seeing across Silicon Valley, I am skeptical that this will remain true. With a compelling enough product offering, for example the Facebook platform or Swarm’s cheaper, faster satellite data, profits will grow regardless of negative press. It is just not true that it is in the interest of the public good for these firms to self-regulate; in a capitalist world, they simply cannot. Sinéad O’Sullivan is a space economist and a Sainsbury Management Fellow at Harvard Business School. Previously a research engineer working with NASA and the Jet Propulsion Lab, her research focuses on the business of international and interplanetary space activities.